For the first launch in this brand new line Sue was inspired by baking. 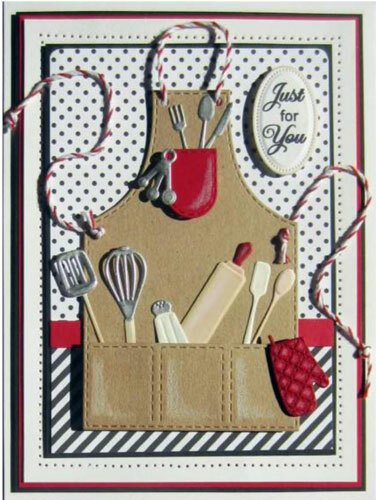 The little tools and essential items that you use to whizz up all your homemade delights, look amazing on cards for any occasion. The Die cut pieces are perfect intricate minatures and although each piece co-ordinates beautifully you can use just a few elements to make a whole host of different designs.